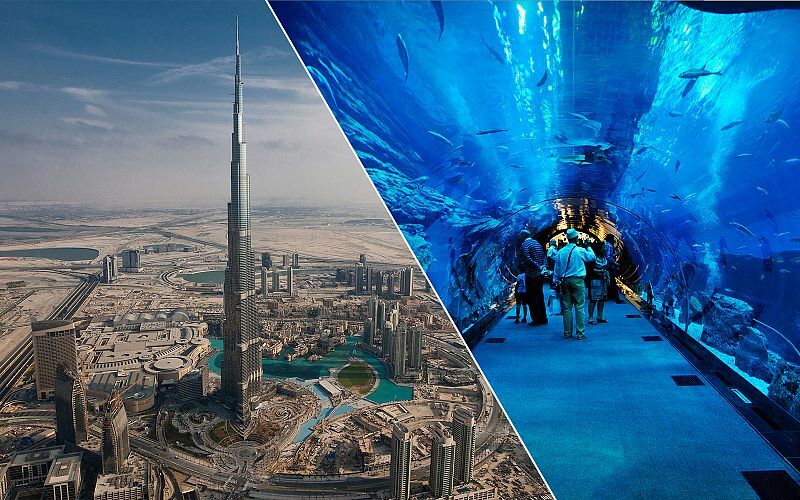 Buy this incredible value combo pass to gain a smooth entry to two of Dubai’s most popular attractions: At the Top Observatory within Burj Khalifa and Dubai Aquarium and Underwater Zoo at Dubai Mall, with both of them ideally placed in the heart of Downtown Dubai. 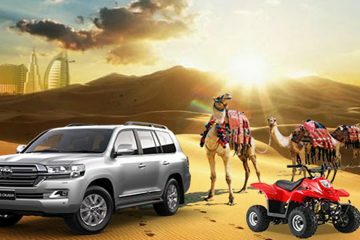 Select your timing, choose from your desired ticketing options, and make payment. 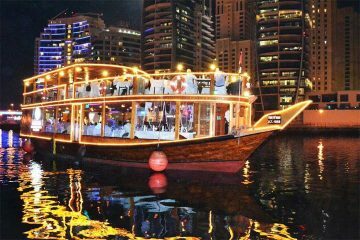 That’s all you’ve to do in order to confirm your Dubai showstopping experience! The entry to Burj Khalifa is through Dubai Mall. With the fastest elevator ride, you’ll be transferred to the observation deck at 124th level. As you stand here, you’ll take in the ultimate 360 degree views of Dubai’s architectural marvels across Downtown Dubai, Dubai Marina, Jumeirah etc. 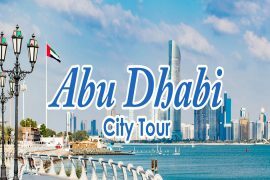 The awe-inspiring sights doesn’t come to an end with the cityscape views, but seamlessly extend to the vast desert landscape and gleaming waters of Persian Gulf. 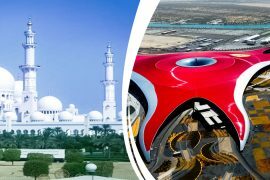 Use the high-powered, advanced-of-its-kind telescopes installed here to zoom view some of Dubai’s legendary sights. 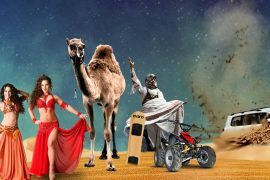 As part of your Burj Khalifa experience, you’ll further have a refreshing dimension of Dubai’s historic past, thanks to a multimedia presentation. It also puts out some interesting facts on this mighty structure, soaring to height of 828 meters. 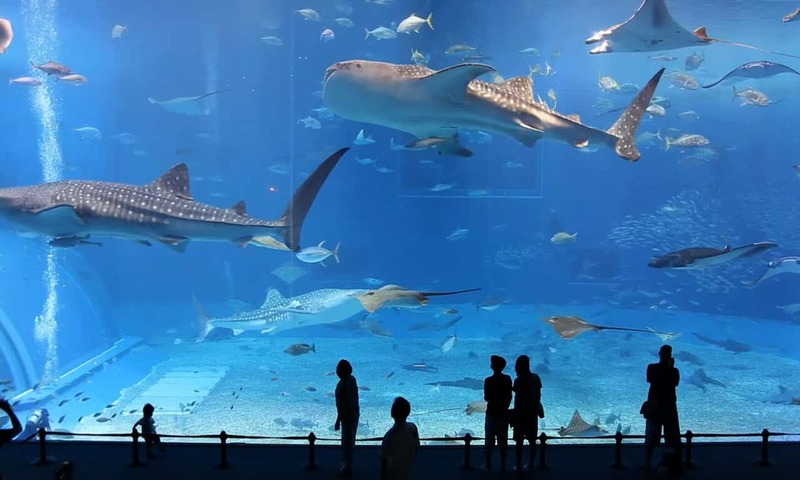 Speaking of Dubai Aquarium and Underwater Zoo, it boasts one of the world’s biggest and most striking suspended aquarium tanks. In 10 million liter water, it shelters more than 33000 underwater specialties from 140 plus species. 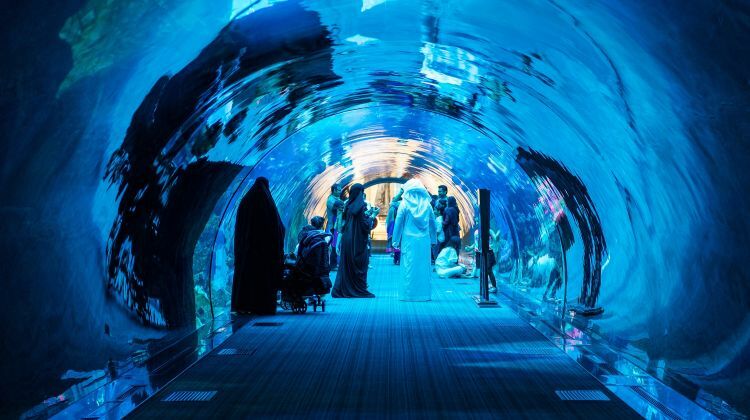 Equally fascinating is watching sand tiger sharks, devil rays etc swimming overhead as you take a walk along the mesmerizing 48-meter-long Aquarium Tunnel. Not to mention about the Underwater Zoo experience! Two floors above the aquarium tank, it offers three distinct ecological sections to explore. As per your ticketing option, you’ll be able to enjoy several amazing attractions and activities like King Croc Encounter, elegant glass-bottom ride, submersible simulator, fish feeding, cage snorkeling, shark dive, and behind-the-scene tour. 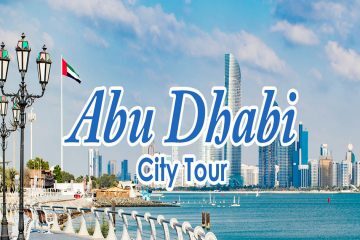 Dubai Tours is one of the leading Destination Management Company. we possess extensive local knowledge, expertise and resources, specializing in the design and implementation of events, activities, tours, transfers, transportation and program logistics.